Beautiful Nai Thon Beach Phuket Thailand. 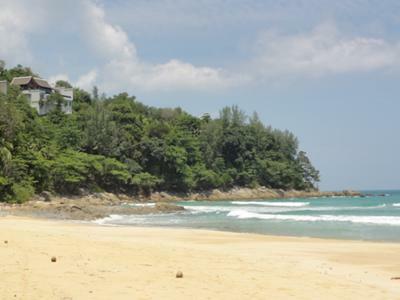 Beautiful Nai Thon beach is one of Phukets northern most beaches. If I had to pick a sleepy quite beach Nai Thon beach would be my choice. I have been up to Nai Thon on several occasions and the beach is never crowded, in fact the beach is so peaceful you hardly run into any tourists. The major resort at this beach is the Naithonburi Beach Resort; even with this resort you don't get that much traffic. Nai Thon Beach is very close to the airport about 10 -15 minutes, the road leading into the beach is in good shape. If you want major nightlife, you wont find it here, Patong beach the major nightlife hub is about a 45 minute drive from this location. Join in and write your own page! It's easy to do. How? 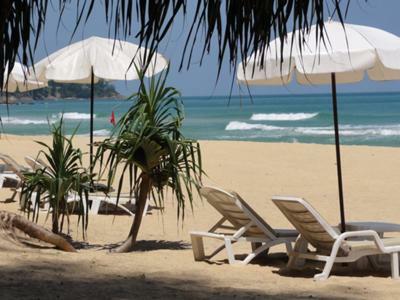 Simply click here to return to Do you have a favorite Beach in Phuket.